They solved that pesky pasta puzzle. 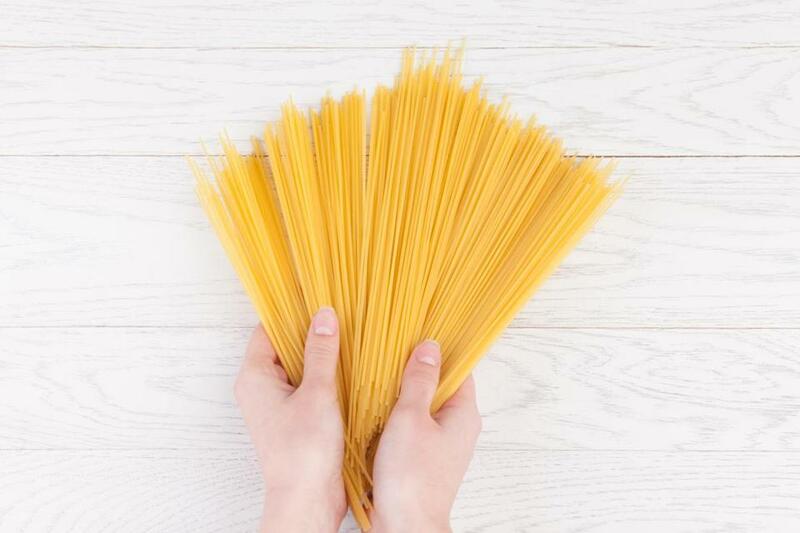 Researchers at MIT have discovered a way to break uncooked spaghetti noodles in two. But you can stop smirking now. It’s a breakthrough that could have implications far beyond the kitchen, the school said Monday. The researchers’ findings are being published this week in Proceedings of the National Academy of Sciences. As anyone who’s ever broken a bunch of spaghetti to fit in a pot knows, spaghetti doesn’t break in half when bent. It breaks into multiple pieces. And inquiring minds wanted to know why. The secret ingredient, it turned out, was twisting. The findings could be useful in other areas, the university said. “The researchers say the results may have applications beyond culinary curiosities, such as enhancing the understanding of crack formation and how to control fractures in other rod-like materials such as multifiber structures, engineered nanotubes, or even microtubules in cells,” the statement said. Jörn Dunkel, associate professor of physical applied mathematics at MIT and a coauthor of the study, elaborated in the release provided by the school.